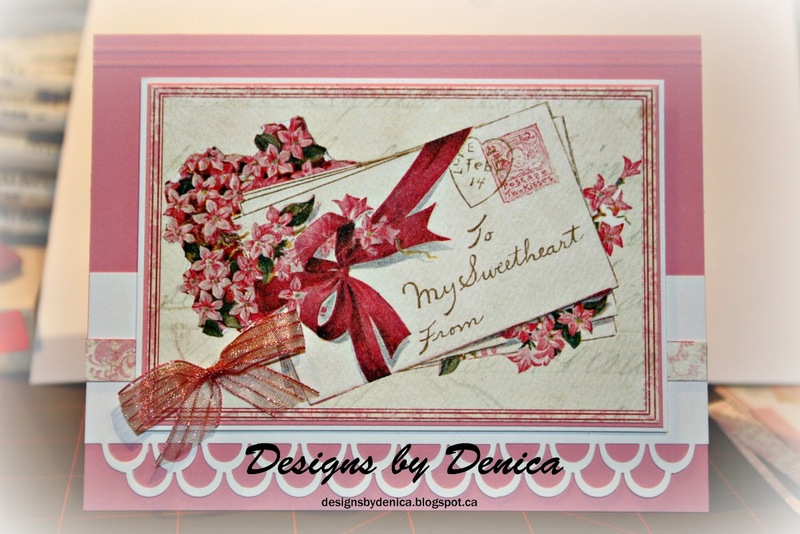 Designs by Denica: I love Graphic 45! Fairly recently I have become a new fan of Graphic 45 paper line! 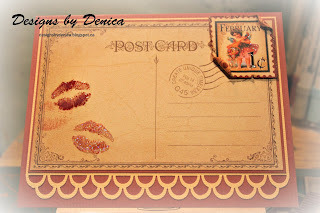 They have a perfect combination of vintage themes and wonderful colours that satisfy the artistic side of my brain. These lovely Valentine's cards were inspired by the February cut out sheet from the "A Place in time" paper line. 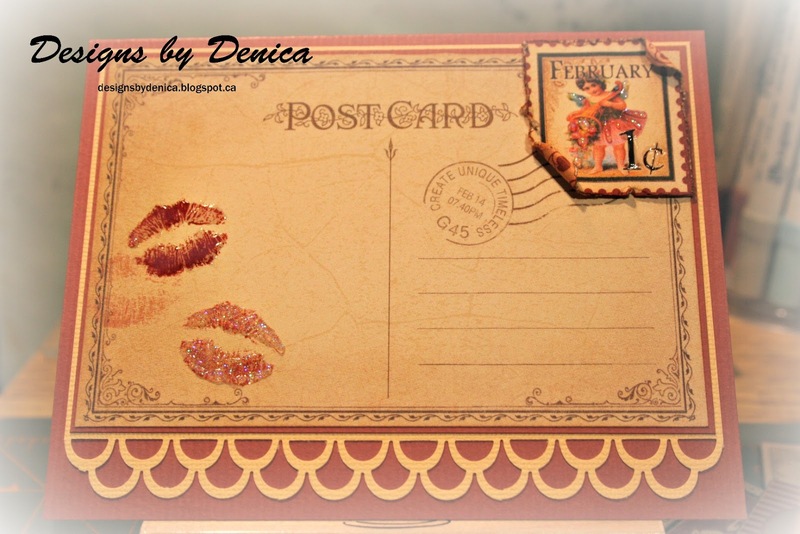 I added Glossy Accents and Stickles "Star Dust" to the lips on the second card, so cute!